Anyone remember saving negative films to reprint the desired photos later on? The resounding silence says probably not. The way we create and store images have drastically changed within the last couple decades. Especially for digital images, cloud storage has been the way forward for a few years now. Off the long list of cloud storage apps such as DropBox, iCloud and Box, Google Photos is particularly widely-loved due to its ease of use. I mean, how much easier can it get when you can just use your existing Gmail account? Google Photos is completely free to get started. 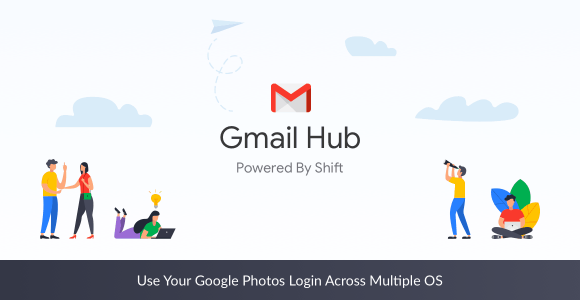 On top of all of this, you can access Google Photos across numerous desktop Operating Systems—Mac OS, Windows, and Linux—right inside Shift! The benefits of Google Photos aren’t spoken of to the same extent as, say, Gmail. But maybe they should be. Unlimited backup: Google Photos instantly and automatically backs up all your photos. Imagine that without being told you’re running out of space! However, if you are a pro-tographer and keep all original quality images, you will have to purchase one of the additional storage packages. Sharing photos: Easy! You can send your photos to any of your friends. Just click the “Share” button and either create a URL or email it to the recipient. Editing photos: You can edit your photos in Google Photos by doing everything from cropping to adding filters. Even this is possible, which is pretty awesome if you ask us and our MacBook Pros we’re still paying off. With Shift for Mac, all you need to do is use your Gmail account and pick “Photos” from “Google Services” drop-down menu. This is on top of being able to access your Google Photos on your Windows and Linux machines, of course.